Are you seeing pink everywhere? Well, that’s because it is Breast Cancer Awareness Month! During this very important observance, it is important to keep in mind the effect your oral health can have on your overall health. This connection proves true in many diseases including diabetes, heart disease and, yes, breast cancer. 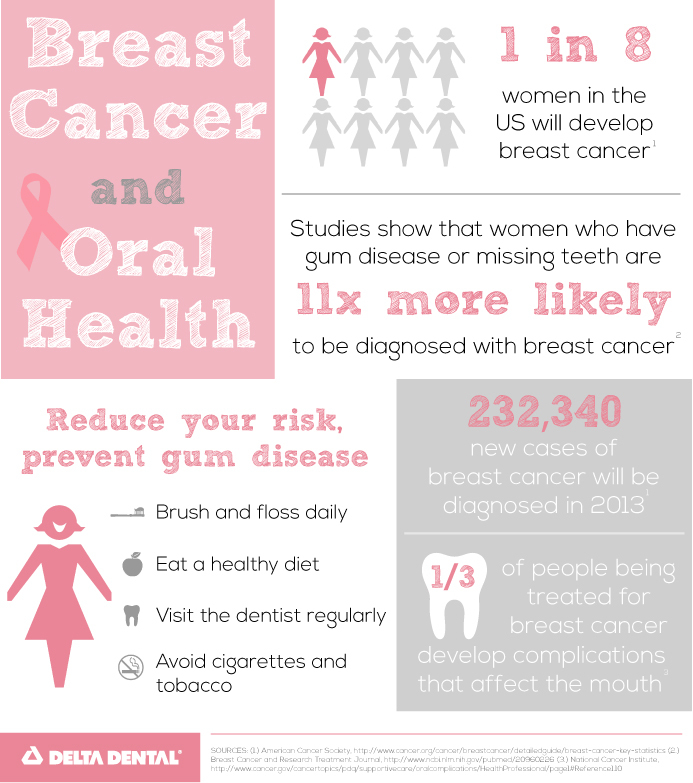 A recent study has shown that you may be 11 times more likely to develop breast cancer if you have struggled with severe gum disease or tooth loss. 1. Brush twice daily for 2 minutes each time.